It can be one of the most frustrating things in the world to work so hard to lose weight and still not see any noticeable results. No matter how much you exercise and stick to a diet, sometimes you just can’t rid yourself of difficult problem areas. The good news is, however, that you don’t have to be stuck with these unwanted areas of fat. With the help of fat cavitation, you can get rid of stubborn fat and finally see those results you long for. Fat Cavitation is a treatment that uses low frequency ultrasound. Micro bubbles are formed accumulating a great quantity of energy. These bubbles are able to break down fat cells, transforming fat from a solid state to a liquid one that is later eliminated through the bodys liver. Through innovative technology, cellulite and skin laxity of all stages can be treated effectively. Non-Invasive. There are no surgical procedures. Sound waves are used to help you lose fat without causing any trauma to your body. Painless. You shouldn’t feel any discomfort during or after the treatment. Fast. A fat cavitation treatment takes only 20-60 minutes. Natural. Low frequency waves are used to break down your fat cells into liquid, and are eliminated from your body through natural processes. Safe. Ultrasound is used for several therapeutic and diagnostic procedures. There’s virtually no risk at all. Versatile. Fat cavitation can be used to treat fat on almost any area of the body. Effective. Fat cavitation can banish cellulite, reshape your body, and allow you to feel good in your skin. 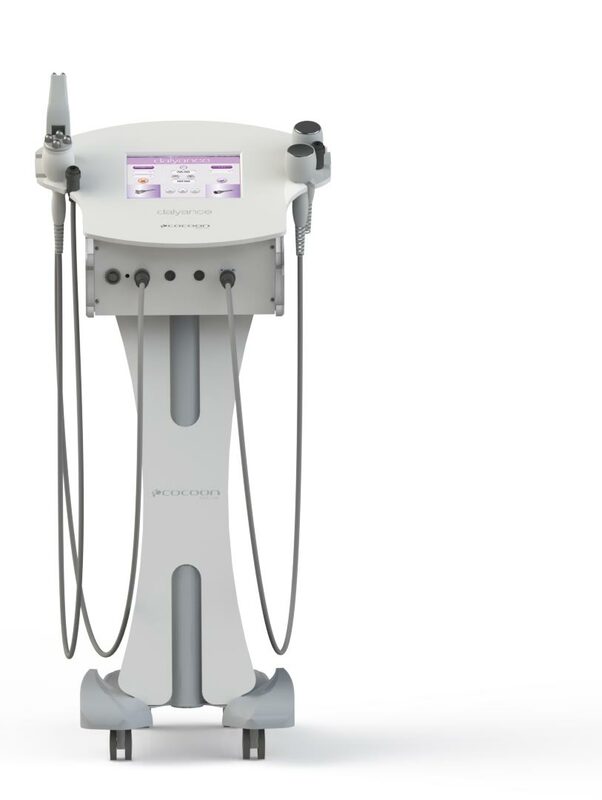 We use Dalyance to help you get rid of stubborn fat through the use of radio frequency and cavitation technology for body contouring treatments. This combination allows heating of the area to be treated by radio frequency while the ultrasound applies pressure on the adipose tissue, obtaining a much more effective result on the treated area. Patients will notice results almost immediately, including contouring, and rejuvenated and firmer skin. Book your free assessment and enjoy a more toned, sculpted appearance today!